Home Addons Track Your Customer’s Web Traffic in Dynamics CRM Be the first to comment. PowerWebTraffic is a powerful tool that lets users analyze web traffic in Dynamics CRM–without having to leave the application. Besides general web analytics, PowerWebTraffic gives CRM users the power to track web traffic to individual leads and contacts, so users know what their customers are looking at. But the power of PowerWebTraffic has been enhanced! Along with being able to track web traffic to contacts and leads within Dynamics CRM, web traffic is now also automatically tracked to CRM accounts, so you can see what your customers are looking at on your website. If PowerWebTraffic finds a match between the company name of anonymous or known web traffic, and an account name in CRM, it will automatically pull that web traffic into that account record. Now you can set up automatic notifications, so you know the second your customer is visiting your website, and what they’ve been looking at. If you’re interested in giving PowerWebTraffic a try yourself, visit the PowerWebTraffic web page and download your free 30 day trial. by Joe D365	September 13, 2012 Be the first to comment. March 27, 2019 Joe D365	Addons Be the first to comment. 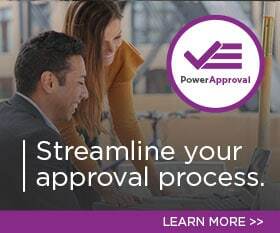 PowerApproval is a PowerObjects add-on that allows users to build approval processes in Microsoft Dynamics 365 for Customer Engagement. March 15, 2019 Joe D365	Addons Be the first to comment. If you’ve ever needed to create a copy of a record within Dynamics 365, look no further than PowerCopy, the latest add-on from PowerObjects!